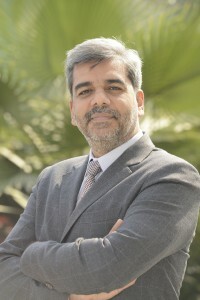 Sanjay graduated from a senior ed itorial role and Prime time TV presenter of AAJ TAK’s, to a Media Entrepreneur in 2004. He did setup MediaGuru which is a global media services company. He guided launch of TV stations and Media companies across South Asia, Africa and the Middle East. For over a decade, he has hand-hold established and budding media houses in their pursuit of excellence, and helped them launch or augment their service offerings. He is one of the few people in media who brings to the table a varied and in-depth understanding of content, technology and business of cross media. Sanjay has shared his experiences and knowledge at global forums like AIB, ABU Digital Broadcasting Summit, Asia Media Summit, CABSAT, FIAT IFTA World Conference, Saudi Media Forum, Guardian Activate Summit, Big Tent Summit, and IBC conference. He has been a part of the jury for the coveted International EMMY awards and ABU Broadcast Engineering Excellence awards. Sanjay was recently featured in a book “Small Big Bang” authored by the students of IIM, a premier business school in India. Through his career, he has been interviewed by media brands like Bloomberg, CNN and the Washington post.